If you're reading this, you have an internet connection. But many people around the world don't have one, something that Elon Musk's SpaceX aims to change. The company has long talked about its plans to launch internet providing satellites into orbit around the Earth, and now it has a timeline. So when can we expect to have worldwide internet, at least according to SpaceX? In IT Blogwatch, we're connected. SpaceX...plans to launch thousands of satellites on Falcon 9 rockets beginning in 2019 to establish what would one day become a global broadband internet constellation. SpaceX updated the Senate Committee on Commerce, Science, and Technology on its plans to launch 4,425 satellites that will provide internet for unserved and underserved communities...around the world (around 57 percent of the global population is offline). SpaceX...said its custom satellites would be deployed into low-Earth orbit...During the Senate hearing...SpaceX's vice president of government affairs, Patricia Cooper, detailed the company's plans. It wants to start testing satellites by the end of the year and into 2018, and then it will launch them in phases between 2019 and 2024, with the hope that the entire system will provide "fiber-like", high-volume broadband. SpaceX will launch each satellite with its Falcon 9 rocket. The...system will also be adaptable and cost-effective. 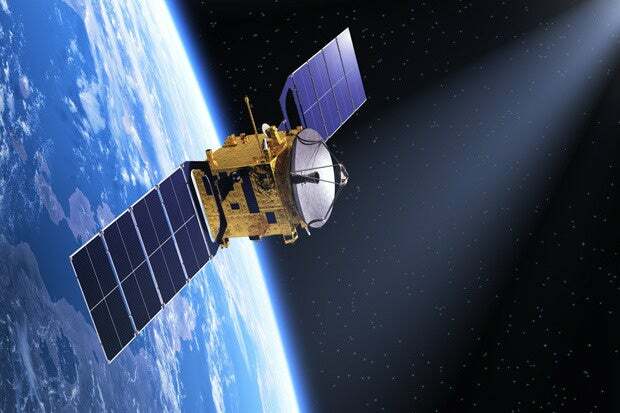 The 4,425 satellites will operate in 83 orbital planes at altitudes ranging from 1,110 km to 1,325 km...The company's satellites will provide a "mesh network" in space that will be able to deliver high broadband speeds without the need for cables. In addition...the company wants to place 7,500 more satellites closer to earth (less than an altitude of 670 miles) in order to handle high demand as well as to reduce latency in areas with high population. Its system...should translate to bandwidth of 1Gbps. All that you’ll need on the ground to get a connection is a flat panel terminal that’s roughly the size of a laptop. There were an estimated 1,459 operating satellites orbiting Earth at the end of 2016...the 4,425 satellites in SpaceX's planned initial launch would be three times that many. Other companies are also considering large satellite launches, raising concerns about potential collisions and a worsening "space junk problem." SpaceX...urged the government to relax regulations related to satellite launches and to include satellite technology in any future broadband infrastructure legislation and funding. So, how many of these satellites need to be in orbit before I can tell my cable ISP to get stuffed?